No words can describe how excited we are about this announcement! Introducing the soft vinyl Skeletor figure, which will only be available at the Skeletor’s Lair during San Diego Comic-Con. Imagine a world where the Japanese audiences caught wind of He-Man and the Masters of the Universe. That could have ultimately branched out to even more toys and variations from the 80’s cartoon that we all grew up on. With the help of Gargamel, we now get to experience just that! 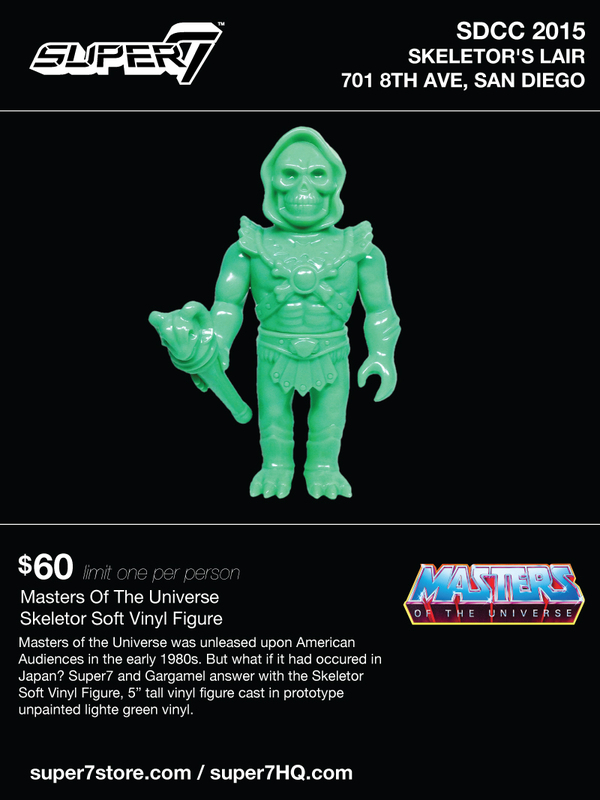 The unpainted light green Soft Vinyl Skeletor is limit one per person for $60 each. Skeletor Takes Over Super7 San Diego With Skeletor’s Lair!